Gerber Serrated Paraframe II Folding Knife | BUDK.com - Knives & Swords At The Lowest Prices! 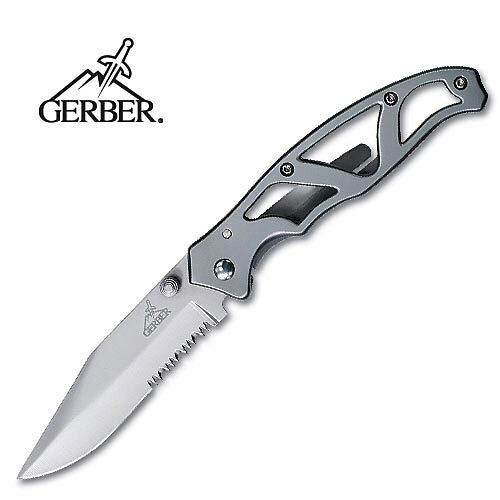 The Gerber Paraframe II - Serrated Edge features a 3.5 inch serrated blade is made from surgical stainless steel. The 314-grade stainless steel handle incorporates a frame lock to hold the blade securely in place. Length open= 8.25", Length closed= 4.75", Blade length= 3.635"